There is and always will be a staunch anti-microwave camp, but they're a fact of life. The whole point of a microwave is convenience, right? But it's not so convenient when you pull out reheated leftovers and discover that your food is only partially warm. This happens because the radiation produced by microwaves doesn't travel very far. Those radiation waves will only penetrate a limited amount depending on the type of material you're microwaving, too. 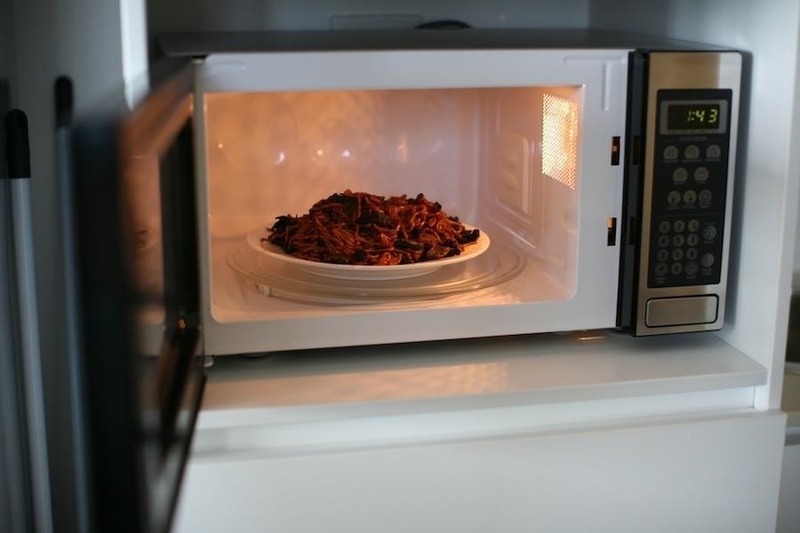 Microwaves are sending radio waves toward your food, rather than heating it from underneath it like gas ovens. And people tend to pile leftovers with the densest part in the middle, which is why the outer edges will heat up, leaving the center cold. You could solve this problem by stopping and starting your microwave and stirring your food during those pauses, but come on, who wants to do that? There are Game of Thrones episodes to be watched! 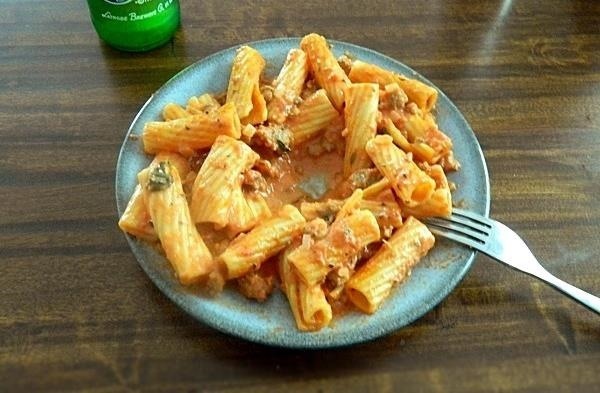 Instead, you can reheat your leftovers evenly simply by leaving a hole in the middle, making your food form a ring. This ensures that it gets heated evenly. Flattening out the food so there is more surface area and less volume will help, too. Plastics Info suggests you take it one step farther and put thicker or heavier pieces of food on the outer edge of the ring and smaller pieces toward the inside so that the latter doesn't end up burning. Also, placing your plate or bowl directly in the center may not actually be the best place for your now-well-laid out food because of the hot spots in your microwave. 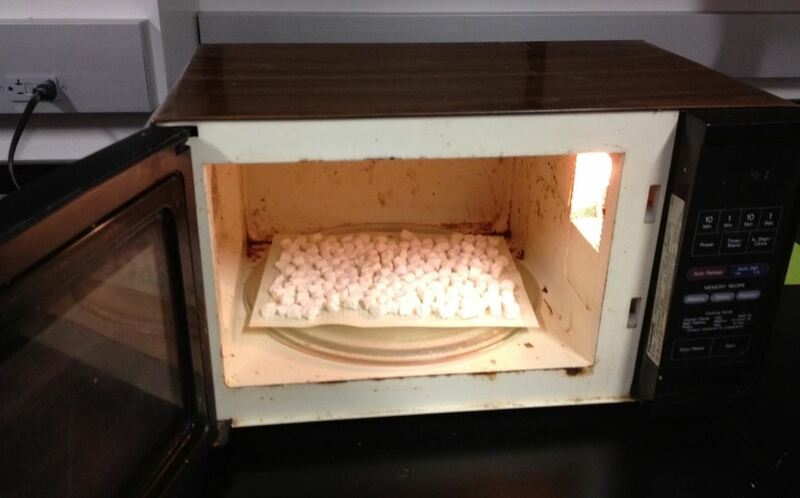 To find these hot spots, just line the bottom of the microwave with marshmallows and heat (though, I suggest having a cleaner microwave than the one pictured below). They will puff up and melt where the hot spots are, and do pretty much nothing in the cold spots. This is why microwaves have turntables, for more even cooking, but this can be improved by reducing variation altogether. To maximize quicker heating times and more even cooking, you should try to place your food in the highest concentration of hot spots. The edge of the microwave is usually best to avoid variation. Brilliant article. The marshmallow trick is outstanding. And don't just look at one vertical level....try the same test with the plate of marshmallows elevated.